Welcome to the ZionFire gallery! We invite you to spend some time in the ZionFire Gallery and immerse yourself in artistic expressions of the beauty and character of God through fabric sculpture. 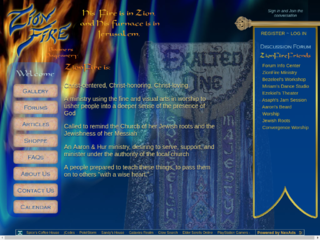 ZionFire is a repository of discussions and articles about all forms of expressive worship, including dance, pageantry, and the rich heritage of our Jewish roots. Be the first to leave a comment for ZionFire! Click the rocket above to Boost ZionFire!